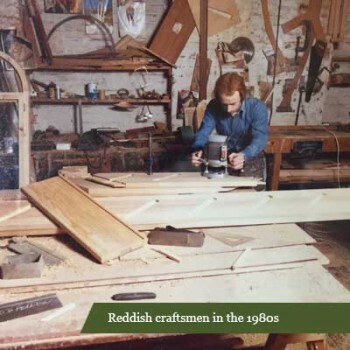 Reddish Joinery has been a family-owned company since its establishment in 1967 and has built up a reputation of being a quality company delivering a 100% personal and bespoke service. 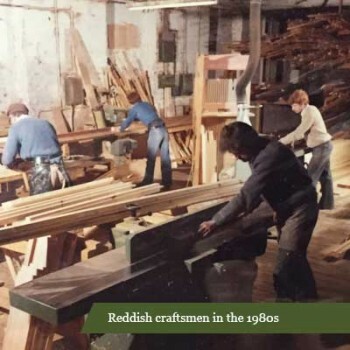 Currently in its 3rd generation of family ownership, Reddish currently employs 24 people, from joiners and installers to showroom staff, who are dedicated to giving you the best possible service. We never compromise on quality and we don’t pressure you into buying. 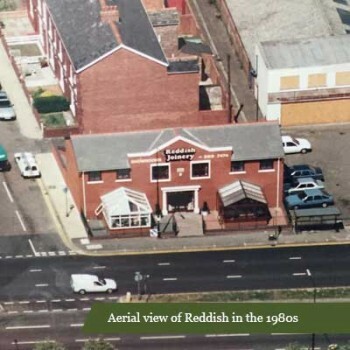 From humble beginnings, we moved into our Reddish-based factory in 1980 and have been here ever since. We also have a showroom in Sale. Feel free to stop by to see our range of timber and uPVC home improvement products for yourself. We’ve now even ventured into aluminium, and are proud to offer impressive aluminium windows! Continuous investment in our products and manufacturing processes has allowed us to always deliver top quality products to homeowners. We recently invested in new timber machinery which allows us to speed up production without losing quality and attention to detail. It also makes producing shaped windows easier for custom designs. We will always make extra effort to manufacture any product the way that is ideal for you. Thanks to the increased intricacy that our new CNC router can provide, we can offer an increased range of bespoke timber products, manufactured to your specification. Whether you’re looking for window frames with ornamental carvings or just a made to measure window that utilises a more complex construction, our CNC router is sure to be able to manufacture whatever you’re looking for. All of our products are available with a guarantee of up to 10 years. Full details of the guarantee period can be given on request. Our long lasting Accoya products are all guaranteed for 50 years. All of our guarantees are backed by the GGFI who provide protection should any company cease to trade before the guarantee has expired. Our services are also monitored by FENSA who ensure that we deliver quality products and that standards of work are in line with current regulations. We are proud owners of the Trust Mark accreditation issued by FENSA. During the manufacturing process, we also try to be as environmentally conscious as possible. 90% of our waste is recycled, rather than sent to landfill. 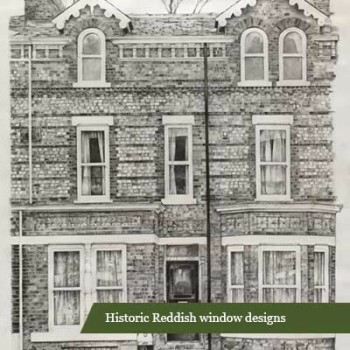 Trust in an established, family-run company like Reddish and enjoy beautiful new windows, doors or a conservatory knowing they’re of the highest quality. 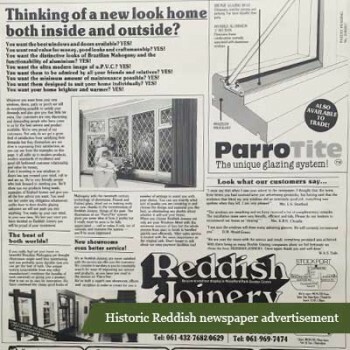 Buying new windows, doors and conservatories from Reddish is simple! We have a simple, six-step process to ensure that each and every one of our customers is delighted with their purchase. Get in touch with us by phone, via our website or by visiting us at our window and door showroom in Sale. We can discuss your initial requirements and give you advice on the right products for you. 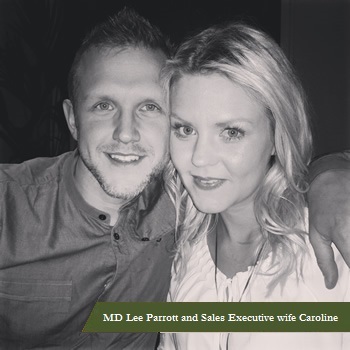 After your initial enquiry, a member of our sales team will be in contact with you to arrange an appointment at your home at a time that suits you. This enables the team at Reddish to get a better understanding of your requirements and to also answer any other questions you may have, about the products or the installation process. If you would like them to do so, the salesman can provide you with a no-obligation quote face to face at your home, or send a quote to you by post, or both. We know that making a decision on new home improvement products can be a big deal and our sales team won’t rush you. Once you are 100% happy with your decision our salesman will draw up a contract and run through the order with you. We take a 25% deposit which is fully protected. An approximate lead time on manufacture will also be provided to you at this point. When we have been given the go-ahead we will send a surveyor out to your home, again at a time to suit you. The surveyor will take accurate measurements to ensure a smooth installation from the offset. The products are made to the exact measurements and once passing through our quality control team, we will call you to inform you that the products are ready for installation. We will then call you to arrange an ideal time to start the installation. 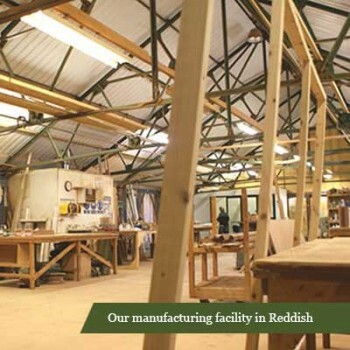 Visit our showrooms today to see a selection of the quality home improvement products Reddish Joinery offers. We have a double glazing showroom in Sale where our friendly and helpful showroom staff will be happy to show you around, advise you on the best products for you, and answer any questions you may have, with no pressure to buy. You don’t need to book an appointment; simply pop into your nearest showroom to see the quality of our timber, aluminium and uPVC windows and doors first-hand!